The Toronto Real Estate Board just released the Rental Market Report for the first quarter of 2012, for condos in the Greater Toronto Area. There were 3,804 units leased in the first quarter of this year (3,050 in the City of Toronto), up 11% from the first three months of 2011. In the City of Toronto the breakdown of unit sizes leased were: 92 bachelors, 1,772 one bedrooms, 1,138 two bedrooms, and 48 three bedrooms. The average rents for condos in the GTA have increased 4% for one bedrooms, and 7% for two bedrooms in the first quarter of 2012, compared to the first three months of 2011. In downtown Toronto, the breakdown for the average lease prices for unit sizes were: $1314/mth for bachelors, $1662/mth for one bedrooms, $2430/mth for two bedrooms, and $3,194/mth for three bedrooms. The average lease prices in midtown Toronto were: $1331/mth for bachelors, $1887/mth for one bedrooms, $3458/mth for 2 bedrooms, and $2938/mth for three bedrooms. “There have been very few purpose-built rental buildings completed in the GTA over the past few years. This means that households looking to rent an apartment with modern finishes and amenities have been focusing on condominium apartments rented out by investor owners,” said Toronto Real Estate Board President Richard Silver. “Condominium apartment vacancy rates, as reported by CMHC, were down in 2011 and it looks as if this trend is continuing with growth in lease transactions outstripping growth in listings,” continued Silver. “Tighter rental market conditions played a key role in the strong annual average rent increases. However, a lot of condominium apartment projects were completed over the last year. Some owners chose to list their units for rent. Newly completed units benefiting from the latest trends in finishes and amenities could have arguably commanded higher rents compared to older units. This factor likely played a role in strong year-over-year average rent increases as well,” said Jason Mercer, TREB’s Senior Manager of Market Analysis. 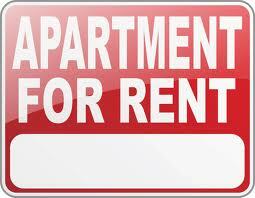 >>Click here for the full Rental Market Report.